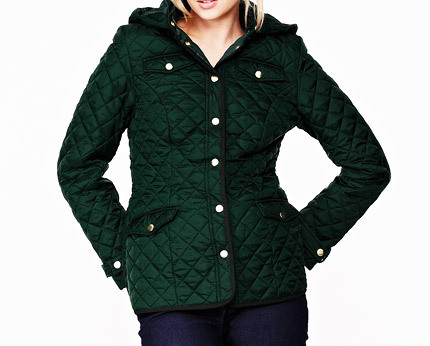 This South hooded quilted jacket channels a heritage feel that’s classic and comfortable but added detail have brought this design right up to date! 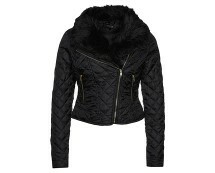 Perfect for day wear during winter and spring months this jacket will keep the cold at bay, whilst you manage to maintain opulent style! 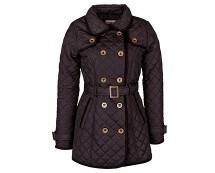 This design features a detachable hood so it is incredibly versatile for all weathers as well as all tastes! 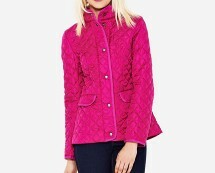 The coat has popper button fastening, which is also situated on the two front pockets, and faux breast pockets for an easy to pop on and off you go style! The cut is slightly fitted to offer a nice shape and the wrist strap detailing and the black edged trim complete a stylish appeal. 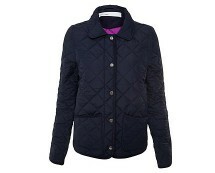 Team this jacket with skinny denim jeans and knee high flat boots for a perfectly stylish day look!